I promised a summary of the second part of the Opening General Session. And I will include it here, but this posting is mostly about the future of IBM Notes and Domino. It’s based around four separate sessions and lectures about the strategy around and development on the Notes and Domino platform. Yes, IBM will continue support and come up with upgrades and new functionality for the IBM Notes client. 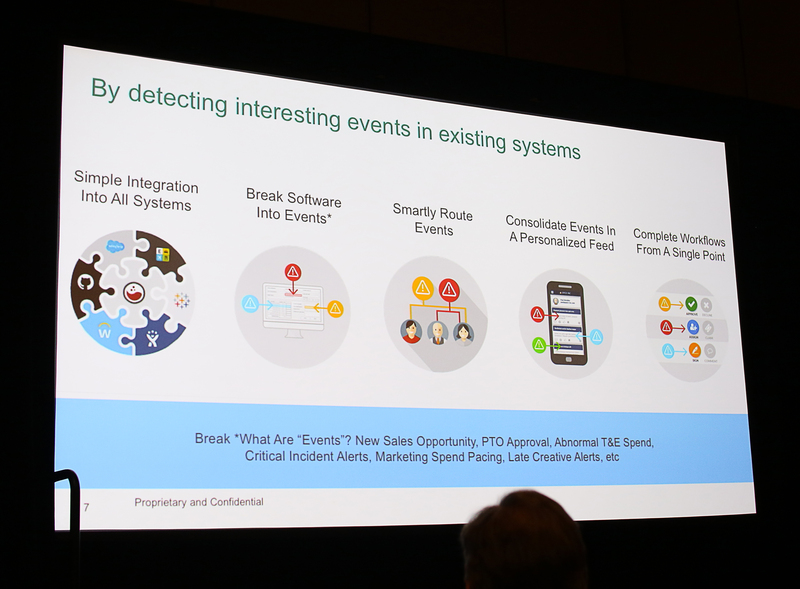 For the first time in years IBM Notes and Domiono was, once again, the center of attention during an opening session. A lot of time was spent on it during Ed Brill’s presentation in part 2. He announced three partnerships with the companies Darwino, Aveedo and Sapho. 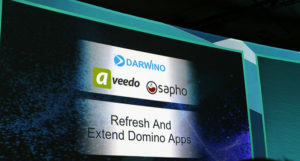 All of them makes it possible to extend and refresh Domino applications. 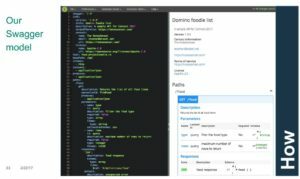 All of these give you the opportunity to stay on Domino, as well as combine your Domino app seamlessly with applications on other platforms without the need for development. I was especially impressed with Sapho. In the session about the future roadmap for Notes and Domino, IBM also said that Notes and Domino would be updated via Feature Packs from now on (which basically means no Notes 10, folks). These will come out 3-4 times a year, and extend the features of both the Notes client, as well as the Domino server. It will be optional whether you want to install these and whether you want to enable the new functionality that is added in the feature packs. Security upgrades and bug fixes are also a part of the FPs. As for what is coming for both the Notes client and the Domino server, I will refer you to my blog posting about the very same subject from last year’s Connect. Yup, nothing has happened since then. But this year they actually showed us demos of most of the stuff you can read about it that blog posting. Last year they only talked about it. FP8, which will give you the ability to show email addresses as internet addresses, support Java 8 in the Eclipse framework and include email template upgrades will be released in March. As you know, I love the IBM Connections plugins for IBM Notes. My 250 page long manual for the plugins will now have to be updated since CCM will get it’s own plugin! Yay! There’s even a plugin for Box, which I haven’t tested yet. 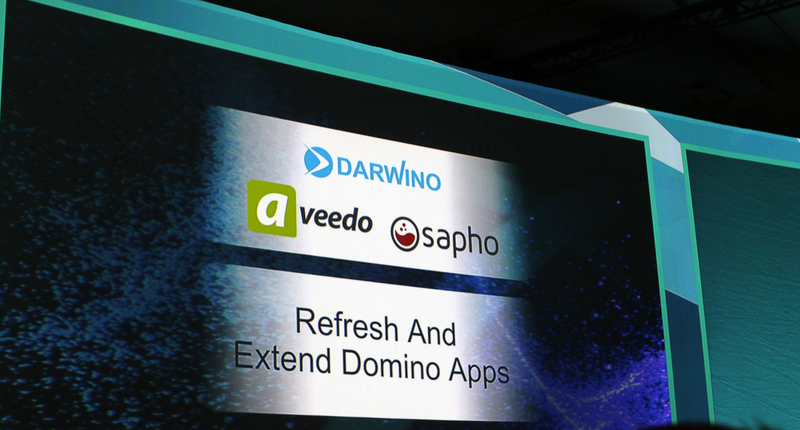 The most exciting thing I saw when it comes to development of Domino based solutions was a product called Sapho. The product delivers a Facebook-like feed of data from your applications, both on Domino and a host of other platforms. I was amazed that every time someone asked the question “what if I need to do…,” Peter Yared, founder and CTO of Sapho, did it live, in the presentation, there and then! The product was incredibly easy to use, and you could fetch data from all kinds of data sources, including Domino. And you could of course write data back to the source as well. So what does this mean? It means that you don’t need to migrate. You can keep your data on Domino, but at the same time add functionality to a Notes application which will run on web or on a mobile device. Or you could replace an entire Notes application, but still keep the nsf file on Domino. This is the future of Domino development folks! 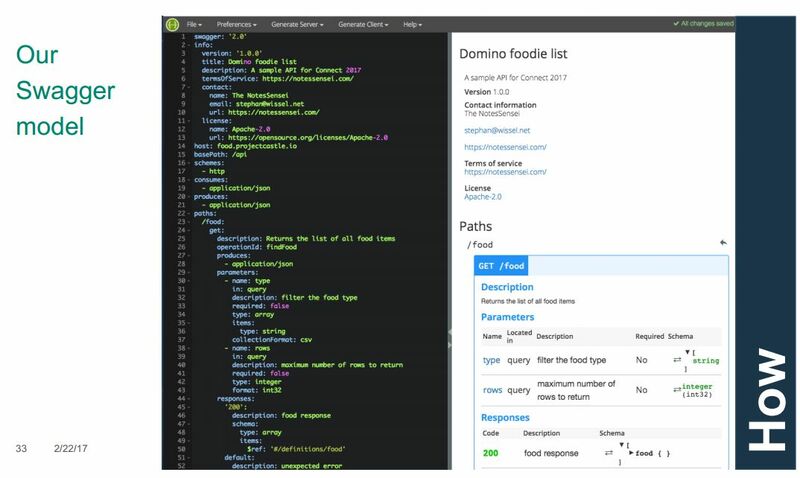 Spending loads of man hours on using the Domino REST API with Swagger, Angular and so on is incredibly complex, time consuming and complex. There are of course instances where you wouldn’t have much choice, but I think in most cases, a product like Sapho will solve your business needs. I’ll wrap this up now. But you can still keep the Notes client and Domino, get new functionality, keep your applications and at the same time modernise them. In addition, you can give your users a choice when it comes to mail. They can use Notes, they can use iNotes (webmail), they can use Verse or they can use Microsoft Outlook. The mail is still in the same .nsf file on your Domino server. IBM is opening up more and more to the outside world, and that is the main strategy these days, also in the future for Notes and Domino. Stay tuned for more blog postings about stuff I’ve learned here at Connect 2017!